Q1. Name the person who has recently become the youngest noble prize winner to address Canadian parliament. Sol. The first rail freight service British goods from the UK to China. Q3. Mukta Dutta Tomar has been appointed as the next Ambassador of India to which country? Sol. Mukta Dutta Tomar has been appointed as the next Ambassador of India to the Federal Republic of Germany, recently. Q4. Which among the following cities, India's first ever micro-drama festival, named "Thespis" was concluded? Sol. India's first ever micro-drama festival, named Thespis, was held recently in New Delhi. Q7. Which among the following are long term corporate bonds that are unsecured in nature? Sol. A long-term security yielding a fixed rate of interest, issued by a company and secured against assets are known as debentures. Debentures an unsecured loan certificate issued by a company. Q8. Name the novel authored by Colson Whitehead that has won the Pulitzer Prize for fiction, recently. Sol. The literary blockbuster novel 'The Underground Railroad' authored by Colson Whitehead, which depicts the journey of a young woman escaping from slavery via a fantastical train system has won the Pulitzer prize for fiction. Q9. ESAF Small Finance Bank has launched a social deposit scheme called _____________ in Thrissur, Kerala. Sol. ESAF Small Finance Bank has launched a social deposit scheme called 'Hrudaya Deposit scheme' in Thrissur, Kerala. Q10. Name the mobile manufacturing company that has recently partnered with Airtel and BSNL to set up 5G internet speed in India to introduce a fast internet ecosystem in the country. Sol. Nokia and Airtel along with state-owned network BSNL (Bharat Sanchar Nigam Ltd) have announced that they have partnered to set up 5G internet speed in India to introduce a fast internet ecosystem in the country. Q11. State-run gas company Gas Authority of India Ltd. (GAIL) has signed a time-swap deal with a trader company Gunvor to sell some of its US Liquefied Natural Gas (LNG) as the Indian firm tries to ease the burden of its costly foreign LNG supplies. Gunvor is ______________ based company. Sol. State-run gas company Gas Authority of India Ltd. (GAIL) has signed a time-swap deal with Swiss trader Gunvor to sell some of its US Liquefied Natural Gas (LNG) as the Indian firm tries to ease the burden of its costly foreign LNG supplies. Q12. The Indian navy has successfully test-fired an anti-ship missile for the first time from an indigenously built ______________. Sol. The navy successfully test-fired an anti-ship missile for the first time from an indigenously built Kalvari class submarine. The launch was significant milestone in enhancing its “sub-surface” warfare prowess.The weapon was fired from the submarine, the first of India’s six Scorpene-class submarines which are being built under the Project 75. Q13. Name the district of Himachal Pradesh that has recently got approval to be its second capital. Sol. The Himachal Pradesh cabinet approved the proposal to make Dharamshala as the second capital of the state (Himachal Pradesh). The decision was taken at the cabinet meeting chaired by Chief Minister Virbhadra Singh. Q14. United India Insurance Company Limited (UIIC) was incorporated as a Company on 18th February 1938. General Insurance Business in India was nationalized in 1972. Where is the headquarter of UIIC? Sol. United India Insurance Company Limited was incorporated as a Company on 18th February 1938. 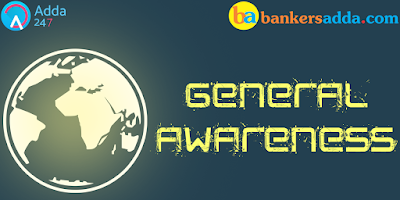 General Insurance Business in India was nationalized in 1972. 12 Indian Insurance Companies, 4 Cooperative Insurance Societies and Indian operations of 5 Foreign Insurers. Chennai, Tamil Nadu is the headquarter of UIIC. Q15. NABARD was set up with an initial capital of 100 crore and to Promote sustainable and equitable agriculture and rural prosperity through effective credit support, related services, institution development and other innovative initiatives. Who is the present chairman of NABARD?